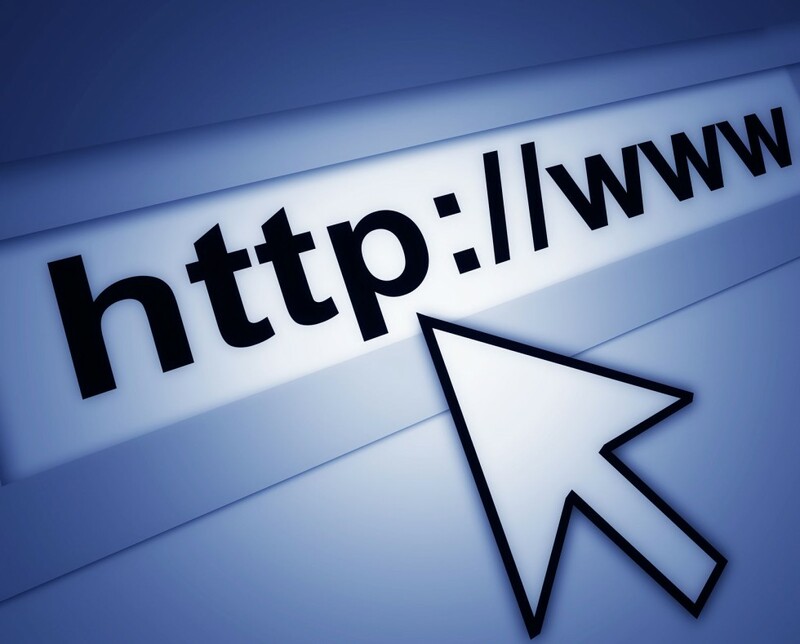 We are putting together a comprehensive list of landlord websites and would like Property118 members to add comments and links to any other landlord websites they read. Please feel free to continue to build the list in the comments section below this article …. This is a one off occasion in which we will allow businesses to post links to their own websites and Blogs. This is not normally allowed on Property118 – please see our Promotional Policy. The Capita TDP (Tenancy Deposit Protection scheme) has been closed to accepting new deposits since the 14th of September this year. 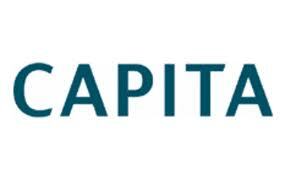 Capita a corporate giant and FTSE 100 company was only awarded the contract by Government to operate the scheme from the 1st April 2013 (no pun intended) in an effort to increase competition and drive down costs for this service. Mydeposits has however stepped in to take over responsibility for Capita TDP protections in England & Wales after confirming their withdrawal from the market. 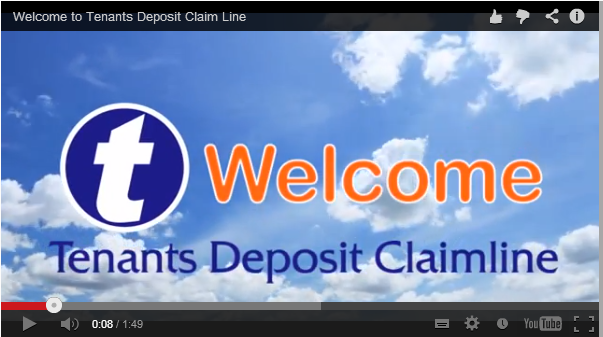 All of Capita TDP’s existing deposit protections will be automatically transferred to mydeposits from 1st December 2013. Landlords, agents and tenants in England &Wales will also have access to the scheme’s dispute resolution service. Capita TDP has now written to all existing members informing them of the news. All transferred deposits will continue to be protected throughout the duration of the fixed term tenancy. my|deposits will also reissue a new Deposit Protection Certificate (DPC) and the relevant Information for Tenant’s leaflet for each protection. “We’re on hand to speak to existing Capita members who have concerns regarding the transfer of their deposits. Landlords, agents and tenants can also visit our website www.mydeposits.co.uk where they can find details of the scheme and a range of useful guidance and advice on deposit protection issues”. The alternatives to Landlord Licensing Schemes require joined up thinking, changes to data sharing protocols within local authorities and revised high level directives and strategies which must begin at Government level. 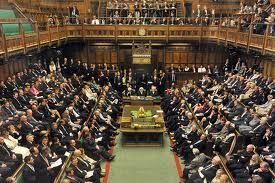 Perhaps the first question to ask is what is Landlord Licensing all about? Is it really about raising standards or is it more to do with raising funds? If society as a whole desires that people should not be subjected to sub standard housing conditions then society as a whole must pay to enforce this (howsoever that might be done) whether the money is raised at a local level or centrally. It is both unacceptable and wholly undemocratic that landlords should be singled out by Government, Councils and Local Authorities to pay stealth taxes badged as licensing fees on the pretence that the money will be used to fund enforcement related initiatives. Costs associated with licensing schemes imposed on landlords are funded through increased rents. Neither landlords nor tenants want this, particularly as there is clear evidence (demonstrated in this article) that landlord licensing schemes have proven not to be an effective solution to problems in the Private Rented Sector. One of the things that are uppermost in landlords’ minds at the moment is the concern that we are vulnerable to possible litigation following the “Superstrike” case. The degree of that vulnerability varies from landlord to landlord and of course some landlords are not at all clear where they stand. All of the deposit protection schemes and large landlords associations are working behind the scenes to persuade DCLG to tweak legislation to prevent courts being overrun with cases from tenants who have not actually been deprived of their legal rights but have become aware of the loophole that Superstrike highlighted. In other words they are not asking for a change in the law which would enable those landlords who do not/did not protect their tenants deposits (HA 2004 & Localism Act 2012) to get away with it. What they are asking for is a change which prevents those landlords who believed that they were acting within the law from facing litigation from their past and present tenants. These are the landlords who do/did protect their tenants deposits and provided the tenant with the Deposit Protection Certificate and Prescribed Information for Tenants within 30 days of having received the deposit but who were unaware that they needed to provide the documents again, despite the deposit protection continuing and no new paperwork being issued, at the point at which the fixed term of the tenancy ended and a Statutory Periodic Tenancy began (HA 1988). There are also those landlords who have tenancies that began before the Deposit Protection legislation came into affect (HA 2004) and therefore did not protect their tenants deposits. These landlords were also unaware that if the tenancy became a Statutory Periodic Tenancy at the end of the fixed term after the law changed that they should have protected the deposit and served the documents on their tenants. This last point was the crux of the Superstrike case. In order to convince Government that this is a major problem in the PRS they need to be shown actual evidence and the only people who can give them that evidence is us (landlords and letting agents). All of the organisations involved in the discussions have produced a short survey to gather the facts. The combined results will be present to DCLG. The survey will take just a few minutes of your time and will not ask you to identify yourself. If you do not take the time and trouble to complete the survey we may lose the argument and fail to get the legislative changes that we all need. Please follow the link below and do your part to bring about a solution for us all before the Courts are filled with cases brought by the “No Win No Fee” people that have sprung up to make easy money from landlords who have simply made a mistake and have not in any way deprived our tenants of their legal rights. Please also send a link to this article to every landlord you know to make certain they aware of this very important survey. When I completed the survey I found that I needed to read it first then work out which category my deposits fell into before going back and completing it – which took less than 2 minutes. By doing the calculations for this survey I am now clear of where I stand with each of my tenancies. This was a useful exercise and may help me going forward when the inevitable happens and a landlord is sued by a tenant for one of the possible scenario. I think that you may find this helpful too. According to the latest research from the National Landlords Association (NLA), incidences of arrears have fallen to their lowest level for over two years. 39 per cent of landlords have experienced instances of rental arrears in the last 12 months, down nine per cent year on year and back to levels previously seen in quarter one 2010. Void periods in private-residential property have also fallen, down five per cent since last Quarter to 33 per cent, a low last seen in 2012. At a regional level, voids are greatest in the North East of England where 60 per cent of landlords have experienced empty periods in the last three months and lowest in the South West of England where only 20 per cent of landlords have experienced voids over the same time frame. “It is positive to see reductions in the instances of arrears and voids. This demonstrates that long term, enduring tenancies are on the rise as it is in every landlords’ business interest to maintain good, long lasting tenancies and avoid voids. “However, it is worrying that void periods often come as a surprise to landlords. Whilst voids represent more of a problem in the North than in the South, where demand is far higher, it is imperative that empty properties are filled quickly, following any necessary maintenance and improvements. Speaking recently on BBC Radio 4 Carolyn Uphill, Chairman of the National Landlords Association (NLA) warned landlords to ensure their tenants’ deposits are properly protected and that they’ve fully complied with Tenancy Deposit Protection (TDP) law. The warning comes after a growing number of information requests to TDP schemes from ‘no win no fee’ claims companies who, on behalf of tenants, are targeting landlords who may not have fully protected deposits. All landlords in England and Wales must by law protect their tenants’ deposits within a Government authorised TDP scheme and must also ensure that they pass on important information about where and how it was protected – known as the Prescribed Information – to the tenant within 30 days from the start of the tenancy. Failure to do so could lead to heavy penalties and claims companies seem to be inviting tenants who haven’t received their prescribed information to make a claim against their landlord – even if the deposit is protected. “You have to ask where the financial loss for the tenant is. The majority of tenant’s deposits are being protected and ninety nine per cent of tenancies end without any issues over the return of the deposit. 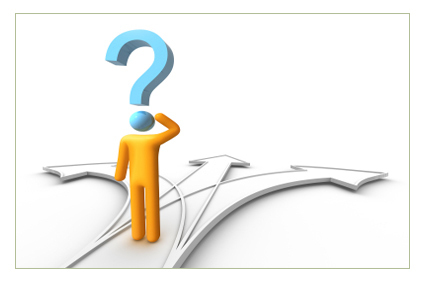 Where problems do arise, the tenant has access to a free and impartial decision using the scheme’s dispute resolution service. “Of course, where there is blatant disregard for the law landlords can have no argument and must be brought to rights. However, these claims firms are looking to exploit those landlords who have protected their tenant’s deposits but may not have properly issued the prescribed information. “In practice this could simply mean not providing their tenant with a leaflet about where the deposit is protected. “This sort of action is morally questionable, unnecessarily punitive and will only work to undermine the good relationship that exists between the majority of landlords and their tenants”. “It has always been the landlord’s responsibility to protect the deposit and a vital part of the process is to pass the Prescribed Information on to the tenant. “Landlords must be aware that they are ultimately responsible even if they use a letting agent. Our advice is to check with your agent or directly with your deposit protection scheme to ensure all of your deposits have been properly protected. “Those who fail to comply with either step of the legislation leave themselves open to potential fines of up to three times the deposit value and could fall prey to these kinds of claims companies. Mark Alexander, founder of Property118 recently highlighted the marketing activity of these companies – see this thread. Following the case of Superstrike Limited vs Rodrigues at the Court of Appeal it is now unclear whether landlords should have re-issued Prescribed Information when when a tenancy became Statutory Periodic at the end of a fixed term. The ruling was that deposits taken pre April 2007 should have been protected when a new statutory periodic tenancy came into being after Tenancy deposit Protection laws came into force. This is because it is now clear from legislation that a Statutory Periodic Tenancy is a new tenancy and that all deposits taken in respect of new tenancies should be protected. What is not clear is whether a deposit which was protected and remained protected needs to be re-protected and new deposit protection certificates and prescribed information to be served. The guidance issued by the Deposit Protection Schemes is unclear on this point and concludes that only new legislation or a ruling in the High Courts will clarify this matter. To date, no lawyers have publicly announced a solution which could protect landlords and letting agents from claims if such a ruling goes the wrong way. Have you read the book recently published by Mary Latham yet? I’ve been talking to Mary about some of the topics in it this week and O – M – G this is going to ruffle feathers!!! This is certainly not your bog standard “how to buy to let” book by all accounts, but if you know Mary you’d never expect that of her either. If that lady has a bee in her bonnet best stand well back I can tell you. I have to confess to not having read the book yet as I’ve been off on tour around Eastern Europe but I will be getting hold of a copy very soon as it’s been getting some amazing reviews. I could have done with having this book with me whilst flying to Russia or the Czech Republic over the last few weeks. We all know how boring flights can be don’t we? I’ve also heard that reading this book is a great way to avoid getting DVT as it will get your heart pumping LOL. As there are just 147 pages of content is just about right to read on a flight, a long journey or if you are off to a nice beach this year …. Based on the reviews I’ve already read I am looking forward to getting stuck in yet slightly pensive at the same time. When an ordinarily optimistic landlord like Mary Latham, who has with 40+ years experience in being a landlord, says she see’s the storm clouds gathering and explains why we should ALL take notice. The book is available as a paperback for £4.64 including delivery and just £1.36 if you are happy to read it on Kindle or the Kindle App for iPad. Either way, click here to order your copy. A detailed thoroughly researched book from an experienced landlord. This book although in some parts quite technical covers the parts that all the get rich quick schemes manage to miss out. The questions that they ask you to save to the end of their presentations and never manage to answer and the risks that many will look into – when they come to it. Mary covers the latest legislation, the impact of austerity measures, the banking crisis and the topics that would be almost unbelievable if it were not true! (Landlords being charged thousands to dispose of their tenants rubbish bins and recycling) to the impact of Universal Credit on Landlords and those that are unfortunate enough to have to claim benefits. Some say the combination of these factors will create the perfect storm and others a tornado that will impact our lives significantly. Whatever boat you’re in this book is essential reading to ensure you understand the facts and then put countermeasures in place to ensure you are not a victim of this crisis. Written by a true expert and recognised as such by the National Landlords Association and Homestamp – ignore this perspective from a full time landlord at your peril. As an established landlord I was unsure whether the book would be worthwhile to me. How wrong could I be!!! I benefited from an insight into a seriously experienced property guru who briefed the reader in a clear and coherent way of real life experiences, past and present legislation as well as money saving tips and references for landlords. The money I have already saved by following just a one of her expert tips has already compensated for the cost of the book twenty fold. Unlike a text book, the author writes in a light hearted way but with an underlying seriousness. I would unreservedly recommend this book to any landlord whether they are a novice just starting out or a well established agent/landlord. Lots more equally positive reviews here. When you have read the book yourself please do me a favour and post a review in the comments section below as well as on Amazon. PLEASE buy this book (and READ IT! ), if for no other reason than to help me say thank you to Mary for posting over 600 helpful comments on this website alone! We are talking about less than a fiver people – COME ON! PS – best to do it now whilst you remember. Looking at the House of Commons Communities and Local Government Select Committee’s Report on the Private Rented Sector Review, Richard Lambert, Chief Executive Officer of the National Landlords Association (NLA) publicises his comments. “Landlords must respond to the changing needs and demands of renters. The current tenancy legislation is more flexible than many realise, but the Committee is right to highlight that adapting from the accepted norms to use this flexibility will be a challenge requiring “a cultural change and removal of barriers, real and perceived”. “Overall, the Committee has brought forward a package of conclusions, recommendations and proposals which offer a fair balance to all and provide the opportunity for the industry at large to take the initiative”. The National Landlords Association welcomes the new NLA Chairman, Carolyn Uphill, to the helm of the organisation. Carolyn, formerly the NLA Deputy Chairman, joined the Board of Directors in July 2011 having worked as a Local Representative in Manchester since 2010. 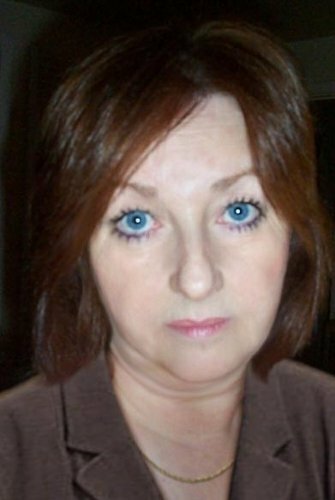 Carolyn has extensive experience as a successful businesswoman and professional landlord letting student and private residential accommodation in and around Manchester. Having established her own business in 1978, Carolyn successfully developed the enterprise to become a leading construction equipment manufacturer with a seven figure turnover. In addition to running the business, which she sold in 2008, Carolyn has served as president of the Stockport Chamber of Commerce and continues to shares her wealth of business experience as a business growth consultant and mentor. As NLA Chairman, Carolyn is keen to ensure the NLA serves and supports the private-rented sector (PRS) by pushing for continuous improvement of standards, greater recognition of landlords’ contribution to society and the economy as well as more cohesion between the private-rented sector’s representative bodies. Carolyn takes over from David Salusbury, who is stepping down as NLA Chairman but remaining a Director and continuing as Chairman of my|deposits and the UK Association of Letting Agents (UKALA). David has led the NLA as Chairman since 2003 and has taken the organisation from a modest membership base of around 4,000 as the Small Landlords Association to a national body working with 39,000 landlords, 21,500 of which are full paying members. As part of its expansion, the NLA has grown to offer a wide range of services and represents landlords’ interests to both local and national government. The change of Chairman coincides with the celebration of the NLA’s 40th Birthday.